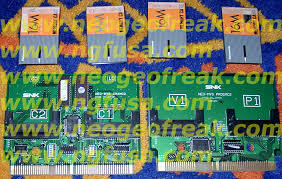 AES cartridges and MVS cartridges are made of two, dual layer boards. 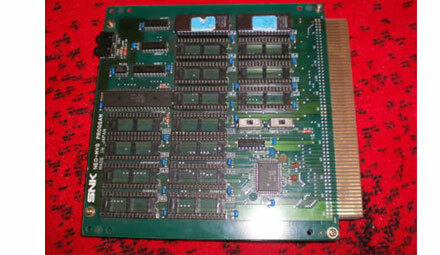 Chips facing upwards, the top PROG board holds the P ROMs (68k code) and V ROMs (sound samples), while the bottom CHA board holds the C ROMs (sprite tiles), S ROMs (fix tiles) and M1 ROM ROM (z80 code). 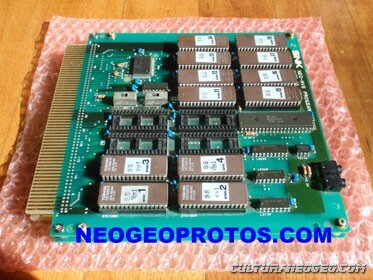 Various cartridge boards were designed over the years to accomodate different ROM and protection chips. See cartridge specifications and Category:Cartridge boards for a complete list of them. 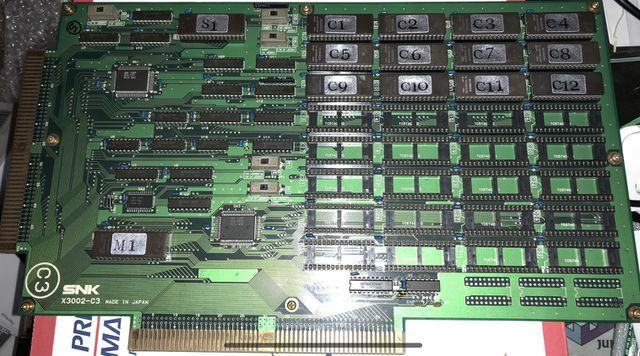 EPROM and JEIDA flash carts by SNK. Capacity ? 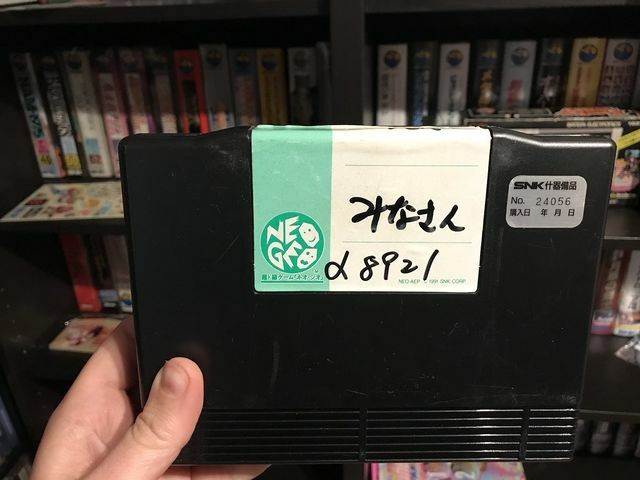 Prototypes cartridges with green labels are the more common Japanese versions. Prototype cartridges with blue labels are the Export versions. 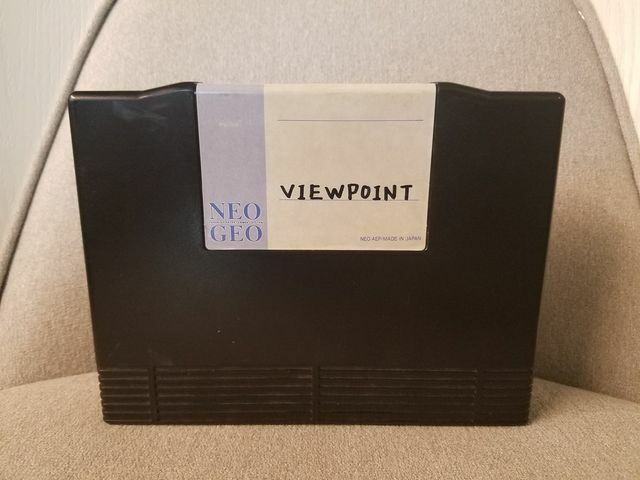 These are extremely rare and only one cart with this label is known. These are the sample carts made when the game is somewhat complete. 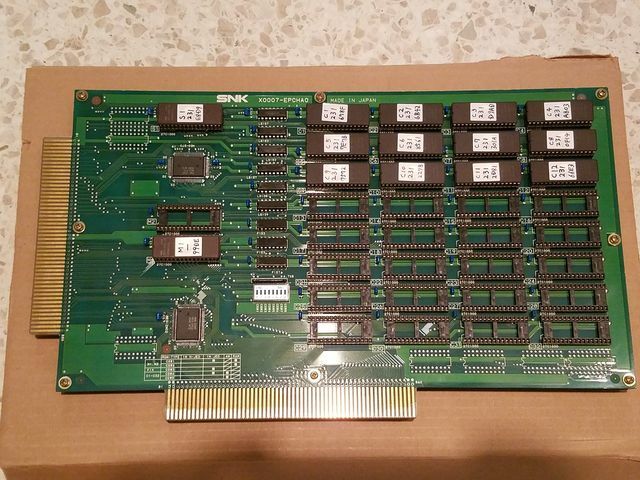 But there are also development carts developers used to test each of their builds, with easily removable linear flash cards. 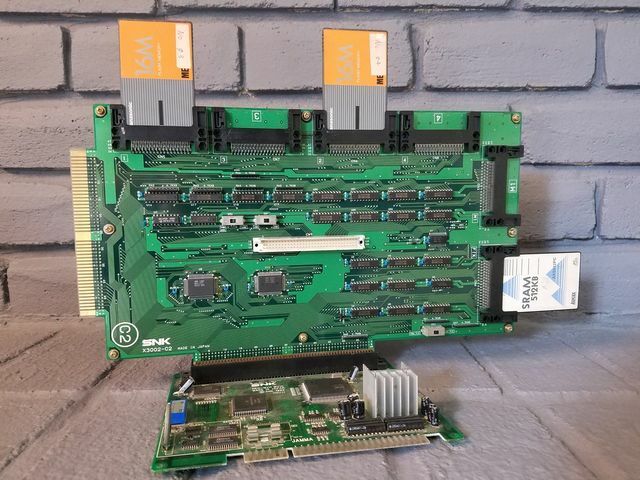 There are some boards with a standard MVS form factor. Maybe an AES variant exists ? And there are also some way bigger flash carts! Dragon's Heaven aka. DarkSeed was found on this kind of development board.